Jeff Rubin founded National Punctuation Day in 2004 to draw attention to the importance of proper punctuation, and it was originally intended to influence the poor punctuation habits of business professionals. Since then, the organization has expanded and now offers school programs and products, including greeting cards, mugs, and t-shirts with sayings like, "A semicolon is not a surgical procedure." There's even an official meat loaf recipe! 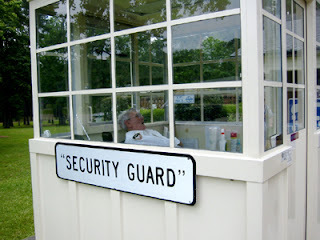 In honor of National Punctuation Day, here's a re-post of a list I put up last month of grammar and punctuation blogs. I hope you "enjoy" these site's!